All types of metal removed. Steel, aluminum, copper, brass, auto parts, small engines, bikes, tools, bbq's, a/c units, and more. All items are properly recycled. 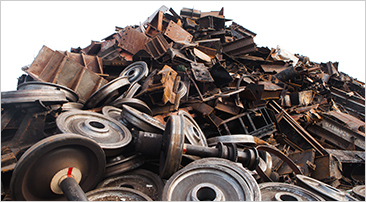 BEE JUNK FREE offers Scrap Metal Removal and other Junk Removal Services to clients across Peterborough, Lindsay, Port Hope, Cobourg, Bowmanville, Courtice, New Castle, Kawartha Lakes, Campbellford, Whitby and Oshawa, ON.